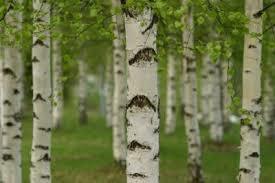 Birch is a broad-leaved deciduous hardwood tree of the genus Betulaceae, which also is closely related to the beech/oak family, This tree is sometimes called "The Watchful Tree" because of eye-like impressions on the bark. According to Celtic folklore, when the huge glaciers of the last ice age receded, birch trees would have been one of the first to re-colonize the rocky, ice-scoured landscape Eventually, the birch came to symbolize renewal, purification, as well as fertility. Wood for long-boards, soap, shampoo, leather oil, fragrant twigs can be used inside a sauna to relax muscles, birch tar can be used as glue, the leaves can be used in a diuretic tea and the extracts for dyes and cosmetics. “Birch Sap” is a traditional drink in Northern Europe, Russia and Northern China, and can be used to make pancake syrup. Drums are often made from birch. Birch wood is sometimes used for semi-acoustic and acoustic guitar bodies. It is also a common material used in mallets for keyboard percussion. Pick a sunny location on an east or the north side, and be sure the soil there is not thick and clay-like, as birch like a softer soil. Birch like moist, but not soggy soil and full sun. Plant your seed a few inches deep and water well. Let it Be. 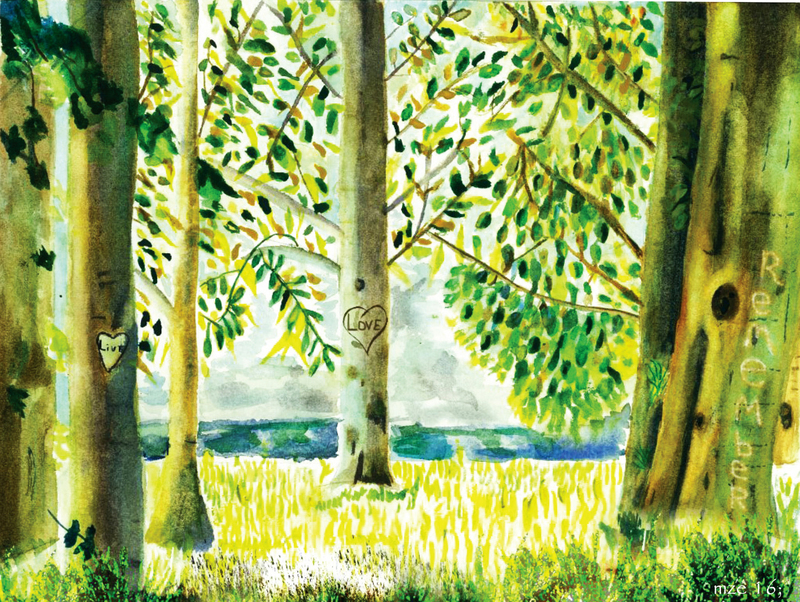 This is a hand painted watercolor of birch trees in the forest with, “Live, Love, Remember” carved into the bark. 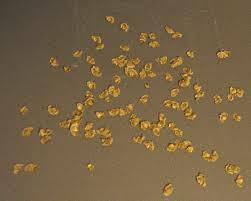 No one like to send condolences, but if you must, it’s a beautiful gesture to send the seeds to “The Watchful Tree” as you remember the person, and bring new life to the planet. because of the eye-like impressions on the bark. According to Celtic folklore, when the huge glaciers of the last ice age receded, birch trees were the first to re-colonize the rocky, ice-scoured landscape. 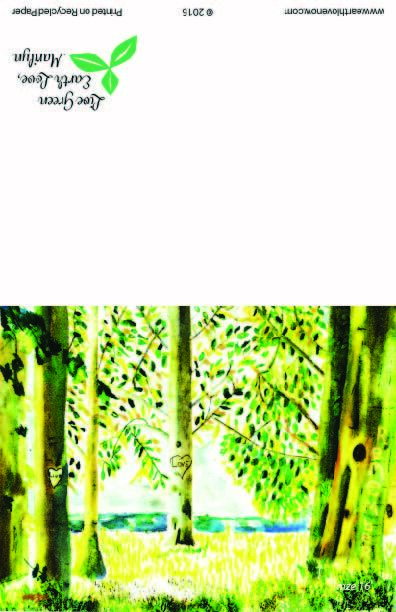 That is why the birch tree has come to symbolize renewal, purification, and fertility. It is a sign of New Life. and can be used to make pancake syrup. Birch essential oil is disinfectant, stimulant, antidepressant, analgesic, detoxifying, antiarthritic, diuretic, antiseptic, astringent, febrifuge, germicide, & insecticide. as birch like a softer soil. 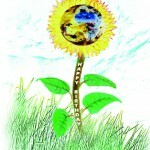 Plant your seed a few inches deep and water well. 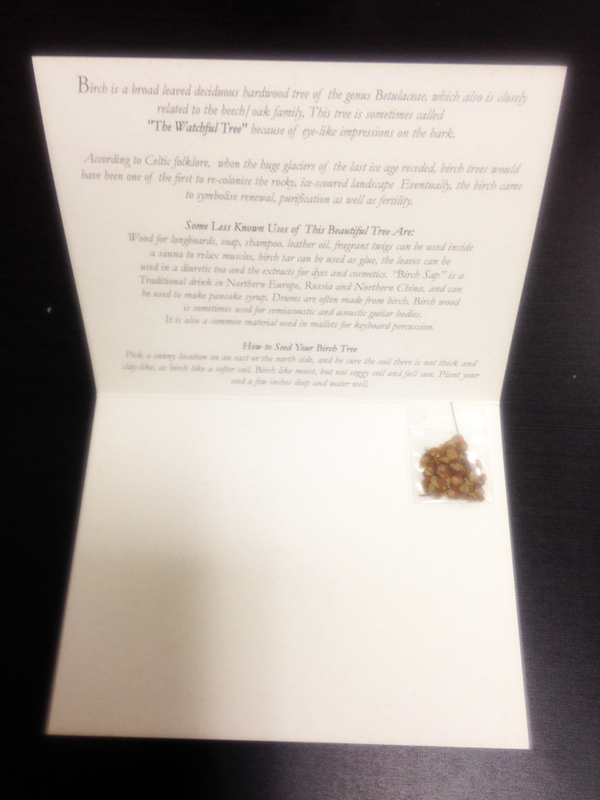 This is a condolence card with birch seeds inside and planting instructions.